Two-week introduction to competitive Sprint Canoe-Kayak. Paddlers will learn how to balance, paddle, and train in sprint kayaks and canoes. 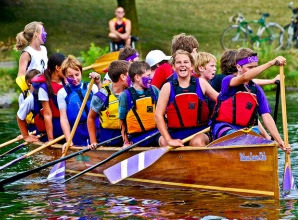 The summer sessions of Intro to Paddling - Regatta Ready include the opportunity to race at a fun, local regatta. 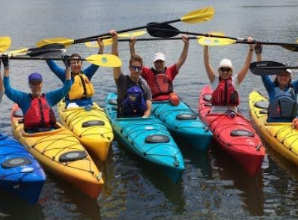 We offer courses and programs for paddlers of all interests and abilities, from novice to advanced. Never paddled before? Need a refresher? Intro to Sea Kayak, Canoe, Intro to Stand Up Paddling (SUP). Do you need a new and fun fitness activity? Fitness Paddling, Seniors Paddling, Fitness SUP, Open Rec Paddling. One week day-camp with an introduction to all aspects of safe paddle sports. 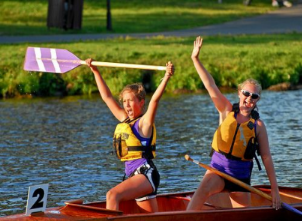 Campers will enjoy canoeing, kayaking, swimming, field sports, as well as cooperative games and activities. 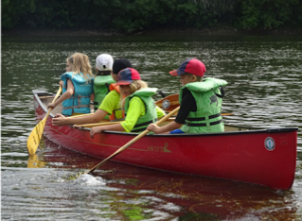 Throughout the week campers will explore the Rideau River with qualified instructors. 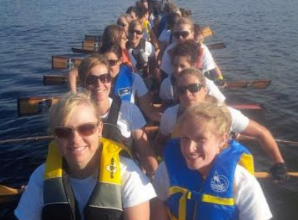 Start paddling, try out Dragon Boat and enhance your skills. Every Sunday night we have a few boats go out on the water to experience Dragon Boat. Meet new people and have fun. It is a great workout!